State lawmakers have spent much of the last few decades grappling with the sweeping changes brought by the Internet. 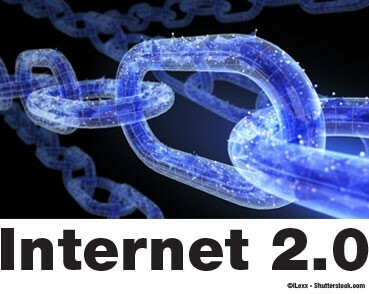 Even as that process continues, a recent technological innovation, blockchain - which some have called “Internet 2.0” - appears to have started a whole new cycle of legislative and regulatory action in the states. In its capacity as a platform for interstate and international commerce, the Internet is a regulatory matter for the federal government. But since the Internet Revolution really began to impact the daily lives of the general public in the 1990s with the arrival of the World Wide Web and graphical web browsers, states have - as with many other issues that fall within federal purview - regulated in the gaps of that federal jurisdiction. While the Federal Communications Commission was drafting rules during the Obama administration requiring Internet providers to treat all content the same and Congress was repeatedly debating legislation that would allow states to collect sales taxes from out-of-state Internet retailers, states were passing laws making in-state affiliates of Internet retailers subject to sales taxes and requiring private or public entities to notify individuals about security breaches involving their personal information. On occasion states have also challenged federal edicts on Internet commerce. In 2016, for example, South Dakota passed remote sales tax legislation aimed at overturning the U.S. Supreme Court’s decision in Quill Corp. v. North Dakota, affirming that a business must have a physical presence or “nexus” in a state in order for it to be subject to that state’s sales tax. And after the FCC voted this past December to repeal its net neutrality regulations, attorneys general of several states announced they would challenge that decision in court, while Washington Gov. Jay Inslee (D) and California Sen. Scott Weiner (D) vowed to pursue legislative action to preserve net neutrality. Decades of similar state action may lie ahead with another Internet revolution now under way. That revolution could be said to have begun a decade ago with the posting of a white paper on a cryptography mailing list laying out a system for transferring a digital currency between two parties without a trusted third party such as a bank serving as an intermediary. The paper instead proposed using a peer-to-peer computer network to verify all currency transactions and maintain a public record of them in a chain of cryptographically secured blocks duplicated across the network. Peers would be incentivized to participate in the network not only by transaction fees but also by the opportunity to obtain newly issued coins by being the first to solve a complex computer problem associated with each block, a digital equivalent to mining for gold. The digital currency the white paper was referring to was, of course, bitcoin, of which there is now about $140 billion worth (give or take $10-50 billion) in circulation. Without the need for an intermediary to reconcile separately maintained ledgers, international money transfers can now reportedly be accomplished more cheaply than they are now and in seconds instead of hours or days. Sensitive consumer credit or health information can be stored with sophisticated encryption on a decentralized network open to public scrutiny (although blockchain networks can also be private), conceivably making it less vulnerable to cyber attack than it is on the closed, central databases with less-robust or even no encryption currently in use. Solar-generated electricity can be traded among neighbors instead of purchased from the local utility company. And with the additional innovation of “smart contracts,” self-executing agreements coded into a blockchain network, more complex value exchanges, such as the transfer of real estate or the execution of a will, are also theoretically possible. Whether that turns out to be true or not, state lawmakers and regulators have already taken note of blockchain. Much of their attention has been focused on bitcoin, which isn’t too surprising given its reputation for being the currency of choice for tech-savvy criminals. One of the first major efforts to regulate the cryptocurrency came in June 2015, when New York’s Department of Financial Services issued rules mandating that anyone engaging in a “Virtual Currency Business Activity” obtain a license - commonly referred to as a “BitLicense” - as well as employ a compliance officer and meet capital reserve and other requirements. Critics say they got that balance wrong. The regulations led to an exodus of virtual currency businesses from the state. And two years after the regulations were issued, only three BitLicenses had been granted, according to a report on U.S. blockchain regulation published last year in the Columbia Science and Technology Law Review (STLR). Vermont became the first state to approve legislation addressing blockchain more broadly, with the enactment in 2015 of SB 138 (Act 51), which included a section calling for a study on blockchain technology. The state enacted another blockchain-related bill in 2016, HB 868, allowing blockchain data to be introduced as evidence in legal proceedings. Three other blockchain-enabling measures were passed last year - Arizona HB 2417 and Nevada SB 398, both authorizing the use of blockchain and smart contracts in commerce, and Delaware SB 69, green-lighting the use of blockchain in stock trading and corporate record-keeping - along with a resolution in Illinois, HJR 25, creating a task force to study how the state and local governments might benefit from transitioning their recordkeeping and service delivery to a blockchain-based system. The Delaware measure was potentially the most significant of the four. As STLR noted: “Since 64 percent of Fortune 500 companies and over 1 million entities are incorporated there, the Delaware initiative’s enactment will change [the] regulatory landscape for securities by setting precedent in the most important corporate jurisdiction of the U.S. Other states competing for corporate taxes and fees would be sure to follow.” But the state has since hit the brakes on the initiative over concerns that it could disrupt its corporate franchise business. 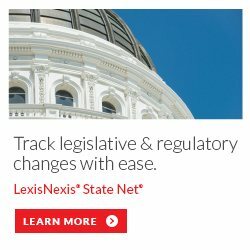 A score of other bills dealing with blockchain or distributed ledger technology have been introduced in 11 states so far this year, and measures relating to those issues that were introduced last year are still pending in three others, according to LexisNexis State Net’s legislative tracking system (see Bird’s eye view). The bills include Colorado SB 86, which would provide for evaluation of the use of blockchain technology to protect government computer systems from cyberattacks; Nebraska L 694, which would prohibit local governments from regulating or taxing blockchain technology; and New York AB 8792, which would provide for evaluation of the use of blockchain technology to protect voter records and election results. Nearly forty bills dealing with digital currencies were also introduced this year. They include Arizona SB 1091, which would let individuals pay their state tax liabilities with bitcoin and other digital currencies; Hawaii SB 2853 and SB 3082, which would both require a license to transmit virtual currencies; Nebraska L 691, which would make virtual currencies subject to the state’s anti-money-laundering statutes; and Vermont SB 269, which would impose the nation’s first tax on bitcoin transactions. “Do the legislators intend for data on a blockchain ledger to be treated as if it is immutable, even if real-world events already have shown that it is not?” Walch asked, citing an incident in July 2016 when the blockchain of Ethereum, the platform that supports the second most popular cryptocurrency behind bitcoin, Ether, was rewritten by its developers to recover millions of dollars in the cryptocurrency stolen by a hacker. Policies based on the assumption that blockchain records are impossible to change would potentially be very different from those based on the premise that such records are difficult but still possible to alter. The same would apply to policies based on the presumption that data on a blockchain ledger is true and those predicated on the view that a blockchain is only as true as the data that went into it. To avoid such problems, Walch said policymakers and regulators must scrutinize the hype surrounding blockchain, thoroughly vet the information they receive about the technology from any source, seek input from critics of the technology as well as its many proponents, recognize that the technology is “immature” and “fluid,” and not just follow the lead of other regulators but conduct their own investigation of the technology. “It is crucial that regulators and policy makers actually understand what they are grappling with before making regulatory decisions [including whether to regulate at all],” she said. Blockchain-enabling statutes also raise some questions, according to an article by Andrea Tinianow, director of Global Delaware, a state initiative aimed at helping local companies develop overseas markets and attracting foreign companies to the state, and Joshua Ashley Klayman, who chairs the Wall Street Blockchain Alliance’s Legal Working Group. “Do we need U.S. state governments to give their permission for the use of blockchain technology?” they asked. “And, if legislation is passed in one jurisdiction, what does that say about those jurisdictions that choose not to enact similar laws? Does that omission by a particular state somehow imply that such blockchain activity is invalid, illegal or not permitted there? Do we identify every single function for which blockchain technology and smart contracts could be deployed, and then draft legislation accordingly? Amy Kim, global policy director and general counsel for the Chamber of Digital Commerce, meanwhile, disparaged Vermont’s proposed bitcoin tax, telling Bloomberg BNA that treating cryptocurrency transactions “differently than any other transactions” by taxing them sends the wrong message to the emerging industry. “I think you see some states taking a restrictive approach, while others are looking to help foster the industry in their states,” she said. Despite those criticisms, there will likely be more legislation showing a lack of understanding about blockchain technology, blockchain-enabling statutes and bitcoin-tax proposals to come as states try to get a handle on Internet 2.0. Given the extreme volatility of digital currencies, worrying behavior associated with their purchase - such as the use the use of credit cards and even second mortgages to finance those transactions - and reports of initial coin offering (ICO) scams, more license requirements for virtual currency businesses and anti-money laundering/know your customer (AML/KYC) regulations are probably also on the way. One interest thing to note is that despite holding multiple hearings on digital currencies and blockchain in the last few years, including one just last week, Congress has yet to pass legislation addressing the issue. So for the time being states will have more regulatory freedom than they’ve had during the first Internet Revolution.